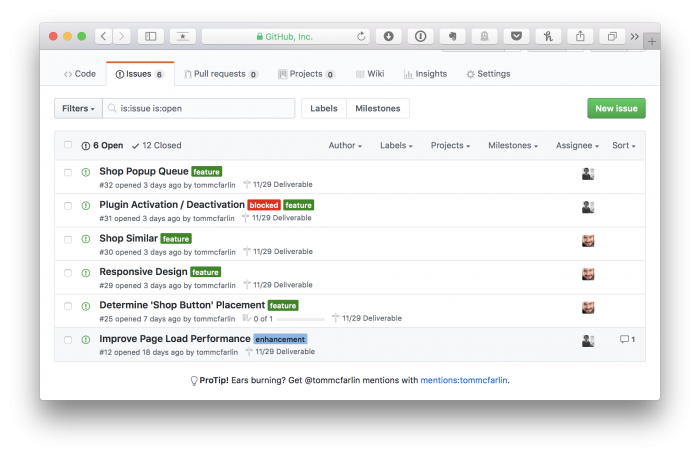 5 Ideas for an Enhanced GitHub Workflow Working with source control in general can be made easier with a solid workflow. 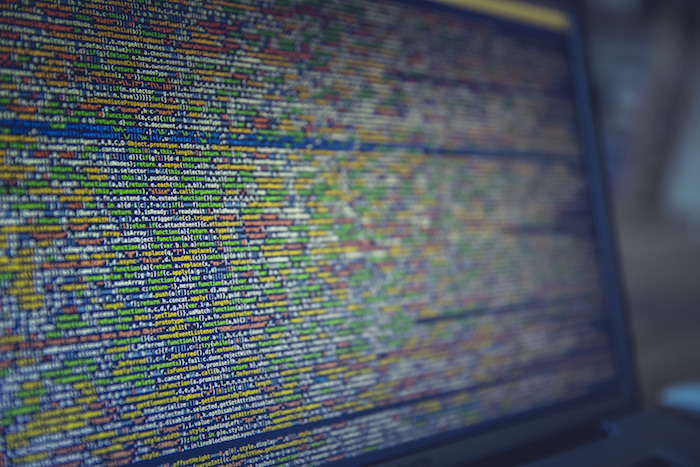 Depending on your history with working source control, the way in which you go about working with a codebase, making commits, etc., varies. Further, depending on if you’re using Git, Subversion, Mercurial, and so on also dictate how you manage your code. 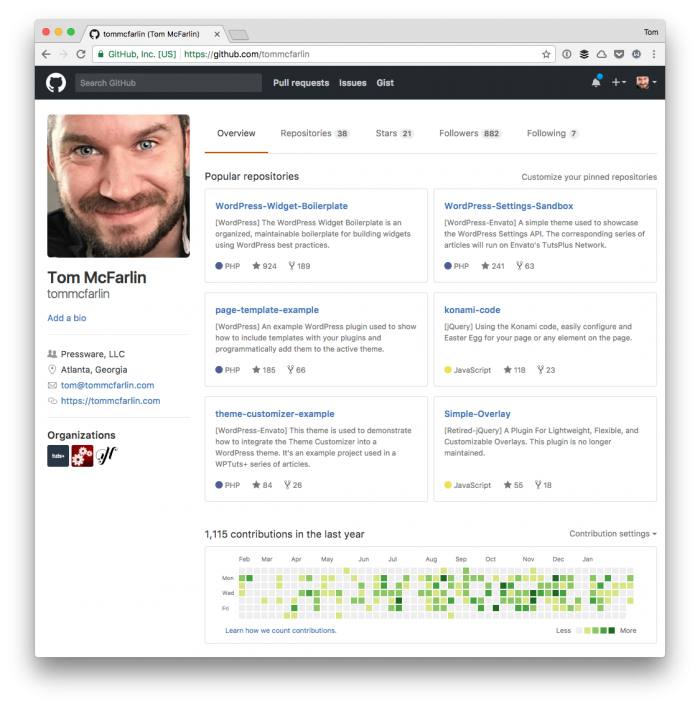 But if you’re someone who’s working with Git (which I know many people in WordPress are starting to use more and more almost on a daily basis), there are some small things that I recommend doing to help make managing changes espcially with a team more manageable. To me, one of the most interesting aspects of open source culture is the variations in open source philosophy we all have. By that, I mean though many of us appreciate what open source has done, we have varying degrees on how much we use it. For example, some people use only open source software. On the other side of the spectrum, some people never use open source software. Then, as expected, there are a lot of things that sit between these two points. You know: The proverbial gray area. As of last week, an interest article has been making the rounds about Slack and FOSS projects. I’ll talk about it more in a moment. 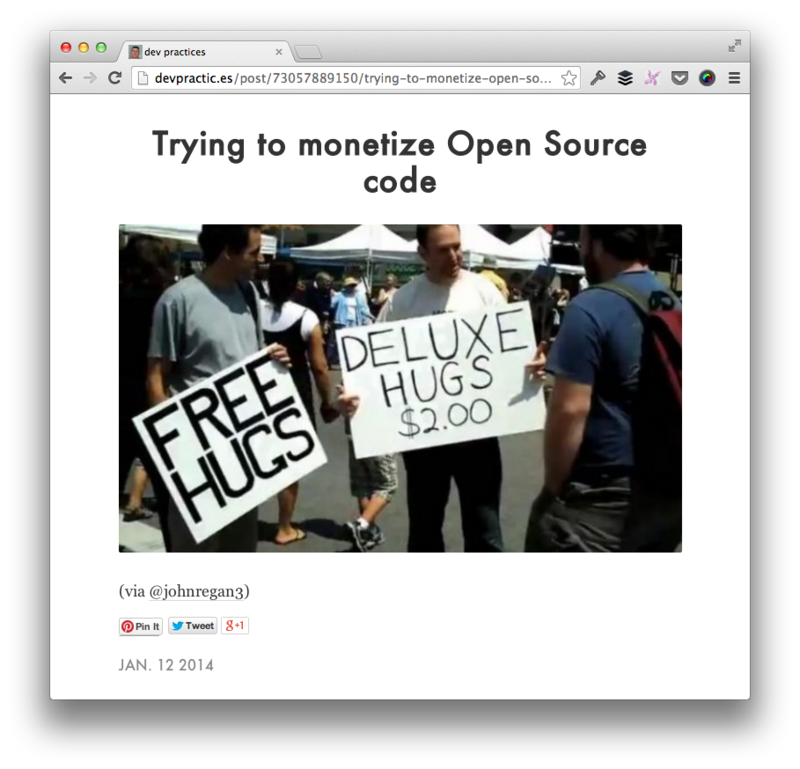 But first, since I’ve never written about my own perspective on open source, I thought I might as well try it. The very idea of monetizing open source software – especially projects that have a list of contributors – is something that I spend more time thinking about than I’d like to admit. And I bring this up because there are a number of things that I’m working on (and that I’ve seen my peers work on), that are directly impacted by this. As with anything, I’ve my own opinions about this, but I’m curious as to what you guys think as it relates to monetizing open source software.